Don’t swim or fish in Frame Lake. 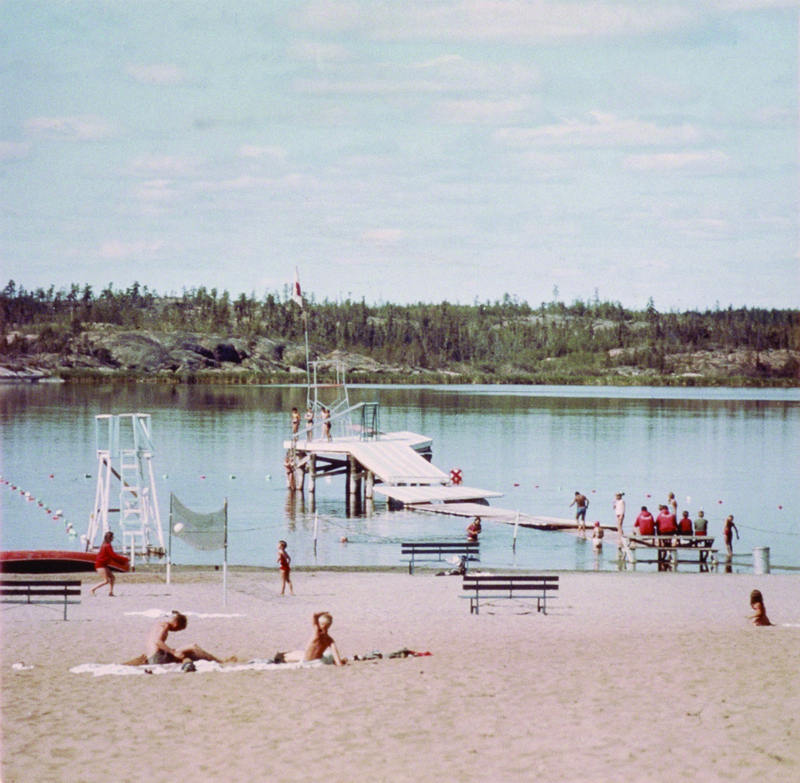 That sage bit of advice is already followed by most Yellowknifers, but any hope of opening up the once-popular Frame Lake beach after some serious lake cleanup was effectively put to bed today with a health advisory from the territory’s public health officer. 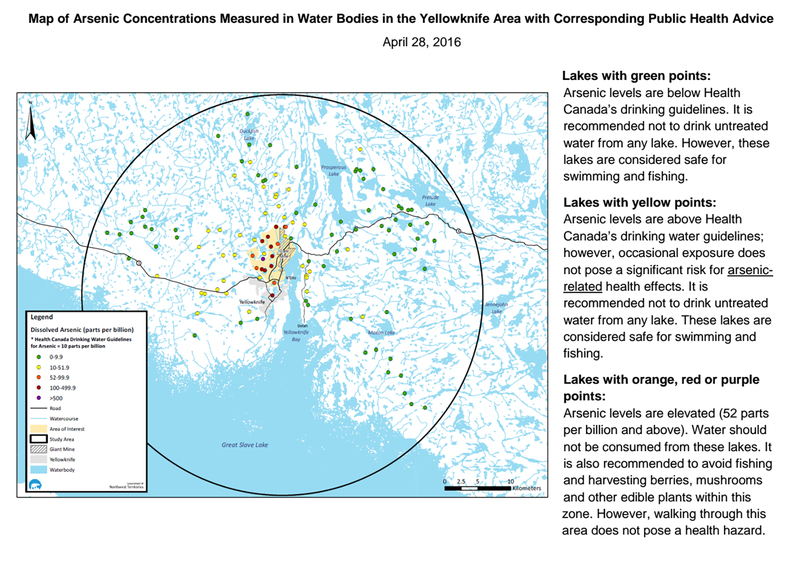 Frame Lake, Jackfish Lake and around a dozen other small lakes near the Giant Mine bypass road are not safe for swimming, drinking or fishing due to heightened levels of arsenic, Dr. André Corriveau announced today. Frame Lake, in particular, has arsenic levels more than 10 times the limit suggested by Health Canada’s safe drinking guidelines. “The science tells us there’s very poor absorption of arsenic through the skin, so the occasional dip wouldn’t be of concern. But when people swim, they occasionally swallow water,” said Corriveau, advising against swimming or fishing in any of the lakes where arsenic levels were greater than 52 parts per billion (ppb). Corriveau’s public health advisory comes on the heels of a pair of studies, one from the University of Ottawa and one from the NWT Geological Survey, that found arsenic levels exceeded federal drinking water standards in dozens of lakes within 30 kilometres of Giant Mine. This includes Long Lake, Vee Lake, Martin Lake and Lower Martin Lake, where arsenic levels do exceed federal drinking standards, but at a level low enough that “occasional exposure does not pose a significant risk for arsenic-related health effects.” Still, the advisory recommended against drinking from them. Larger lakes with cabins on them like Prosperous and Walsh were deemed largely safe, having arsenic levels lower than the recommended limit. “This information won’t be a surprise to most of us who have been living here for a while, but it’s important to be transparent,” especially with newcomers and visitors, Corriveau said. Over the next several months, the GNWT and City will be working together to put up signs near accessible lakes like Frame Lake and the ones along the Prospector’s Trail. More research into the effects of arsenic on the ecosystem is ongoing, with another study from Queen’s University expected to be published this summer.